Latte is a specialty coffee drink enjoyed by many. It’s actually a combination of espresso and hot, steamed milk. Of course, it’s delicious – but it’s also quite expensive, especially if you buy it from a coffee house. But with the best latte machine right at your fingertips, you can make this delicious drink right in your own kitchen. You really don’t need any special barista skills (video) when you own a latte machine. It does all the work for you. All you really need to do is push a few buttons to be able to enjoy a delicious cup of latte (at a very low cost). Which is the Best Home Latte Machine for the Money? 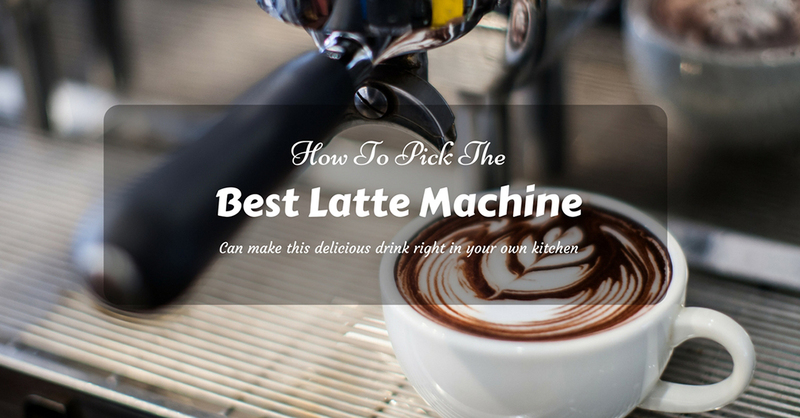 Before picking a latte machine, understand your 2 options in the type of model to go for. You have 2 choices – to get a unit that uses coffee pods (or capsules or cups) or one that uses ground coffee. You have the choice of choosing from different varieties and flavors of coffee. Your choices are limited to the available coffee pods. These models are quite expensive. This model of latte machine uses pre-ground or freshly ground coffee. You can use pre-ground coffee in packs (sold in stores) or you can grind your own coffee beans. You have the option of using different varieties of coffee grounds and coffee beans. You can personalize every cup of espresso or latte according to your taste. These units are usually more affordable than models that use coffee pods. Coffee grounds and coffee beans are very affordable. It’s quite troublesome to use as you need to prepare (or at least measure) your own coffee grounds with every use. Using coffee grounds can be quite messy. The unit itself needs the thorough cleaning, especially the milk steamer used for frothing milk. As you can already imagine, latte machines can be a bit complicated (technically speaking, that is). After all, it will automatically create a latte drink (a specialty drink) for you with the touch of a button. 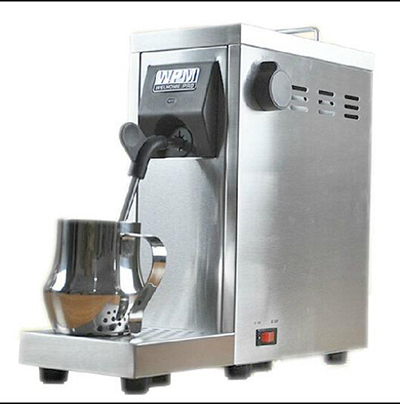 Commercial grade latte machines can be used in restaurants and coffee shops. There are also automatic models that can be used at home. They’re more expensive than models for home use. These are latte machines that have simple designs. They are great for home use. They’re small and portable and can be kept on the counter (or stored in the cabinet). These units are simple to operate. Because of their limitations, these models are not for commercial use. If you’re decided on buying a latte machine, consider the following features and points below. Water reservoir – The size of the water reservoir is important as a small tank would mean constant refilling. Having a removable tank is also more convenient than a permanent one (especially for cleaning purposes). A variety of drinks – A unit that can make different blends and flavors of coffee drinks will give you more options to choose from. Customizable settings – You can personalize your coffee experience by having numerous options on your coffee’s strength, cup size, etc. Price – Get a unit that you can afford or a model that will eventually pay for itself (think about your savings for not having to buy specialty coffee drinks in expensive coffee shops). 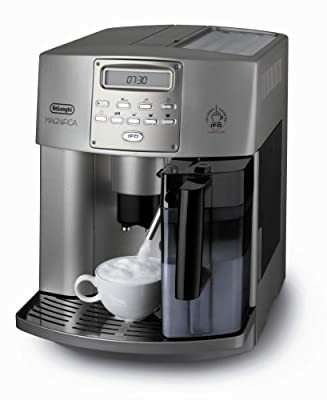 Before going shopping, take a look at the Top 5 list of latte coffee machines for home use below (there are no commercial-grade models on this list). 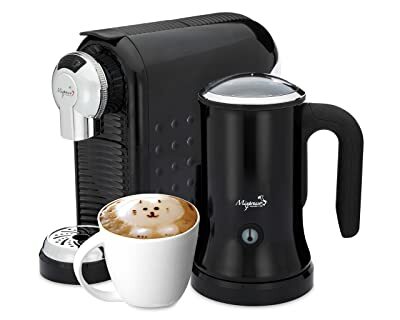 In this section of latte machine reviews, I am presenting them to you with their features, pros and cons so as to help you decide on which is the best model for you. This Mr. Coffee latte machine is an all-around latte maker. It uses ground coffee and any type of milk. If you want this model, it’s only available in the color black. 1 Touch Operation – Put coffee in the chamber, fill the tank with water, pour milk in the carafe, and push the button to start. 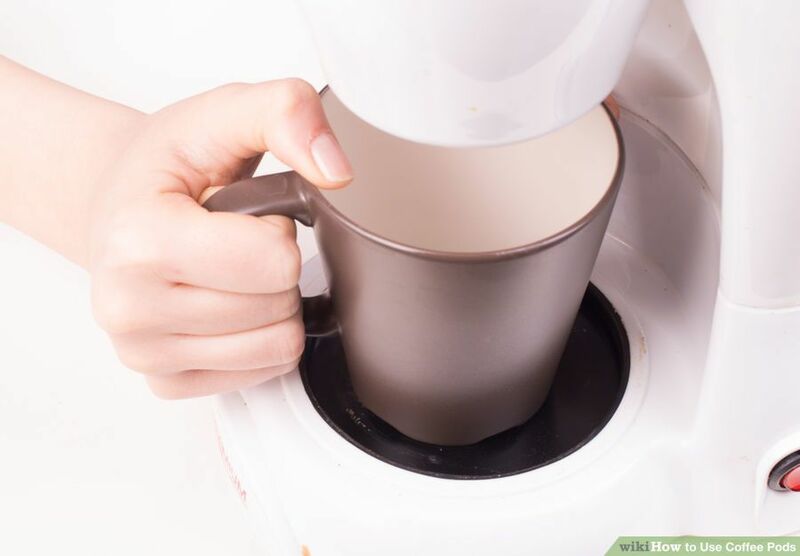 After about 5 minutes, you will have a pot of ready to drink the latte (1 to 2 servings). Auto Power Off – There’s an indicator the light that shows you when the latte is ready. Milk Frother – A built-in milk frother is attached to the glass carafe’s lid. It’s a powerful frother that can make a lot of froth. 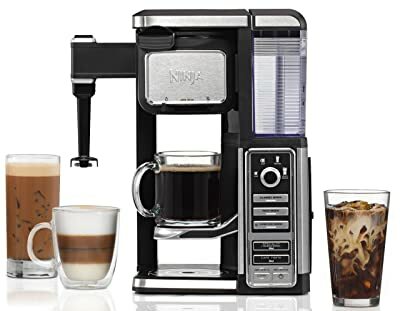 Versatile Design – Since this model uses coffee grounds and milk, you can customize your latte into different flavors and varieties (for example, you can add hazelnut syrup to your drink). It’s fast – you can have a small pot of latte in just 5 minutes. The package includes a recipe book for making lattes, hot chocolate drinks, and other varieties of coffee drinks. The carafe is small and can only make 1 to 2 cups of latte at a time. 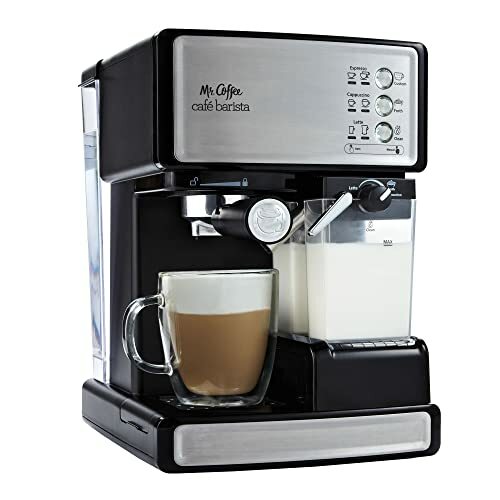 This Mr Coffee Latte Maker is an intelligently designed latte machine. It brews coffee while steaming and frothing the milk. It’s a very convenient latte maker for all latte lovers. As the Top 1 model in this countdown, let me tell you right now that it’s the best latte maker for me. This model of Nespresso latte machine (video) uses coffee pods – Nespresso capsules and Nespresso-compatible pods. It’s a package deal as you will get an espresso maker and a milk frother to make your latte. The milk frother comes in stainless steel color while the espresso maker comes in a variety of colors such as black, white, red, silver, and titan. Coffee Pod Design – The unit has an easy pod insertion design and an easy ejection of pods. 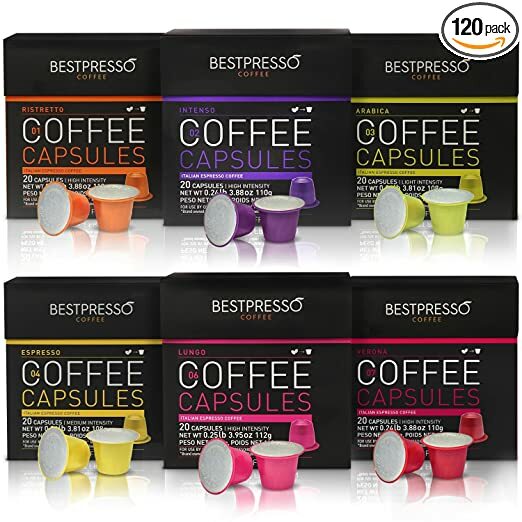 Uses Nespresso Capsules and Nespresso-Compatible Pods – You can choose from a wide variety of Nespresso capsules (and compatible pods) – they come in different flavors and different intensities. Water Reservoir – The removable water tank can hold 24 ounces of water (good for 4 cups of latte). Drip Tray – The drip tray can be folded to accommodate tall cups. Auto Power Off – The unit will automatically turn off after 9 minutes of inactivity. It comes with 19 bar high pressure pump for efficient extraction. It’s small and can be easily accommodated in the kitchen (and stored in the cabinet after use). It’s fast – your latte will be ready in about a minute. There’s a used capsule container that can hold around 10 discarded pieces. This Ninja latte machine uses coffee grounds when brewing espresso for your latte. It’s a single serve coffee maker that can make latte coffee drinks back to back (to back). If you’re keen on buying it, know that it’s only available in 1 color – black with hints of silver. Capacity – It comes with a removable water reservoir that can hold 1.5 liters of water (good for 4 regular mugs). Built-in Frother – A milk steamer stick is integrated on the side of the unit. It can make froth for hot milk or cold milk. Customized Brewing Technology – You can choose the strength of coffee for your latte. Adjustable Sizes of Cups – You can use regular-sized mugs, extra large mugs, travel mugs or an extra large multi serve cup. Included Accessories – The package includes an extra large hot and cold tumbler. The frother only makes froth (or foam) – it doesn’t steam milk. The unit is not very compact and can take up some space in the kitchen. While this is a single serve machine, it can make coffee back to back in just about 1 minute. You also have the option of making hot, cold, or iced variations in your coffee and latte drinks (yes, it’s also an iced latte maker). However, since the unit is not capable of steaming milk, you need to do that part on the stove. The Mixpresso Latte Machine and Cappuccino Maker uses Nespresso capsules and Nespresso-compatible pods. It’s available in 2 colors – black and white. Extraction System – It comes with 19 bar pressure pump for delivering strong flavor of coffee. Capacity – The removable water reservoir can hold 1 liter of water (good for 4 cups). Milk Frother – A separate milk frother attaches to the main unit. 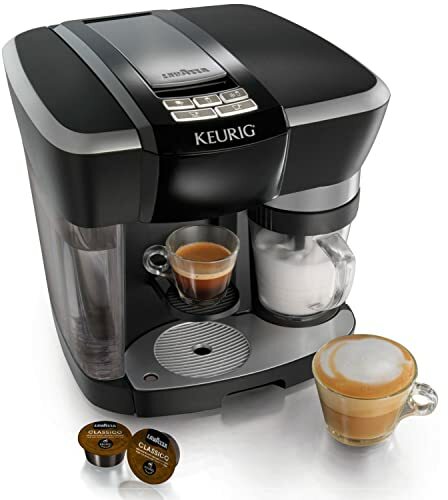 Auto Shut Off – The unit automatically shuts off after completing the cycle of brewing coffee. The milk frother also shuts off automatically when done. Used Cap Container – Used capsules are automatically ejected into a holding chamber (15-cap capacity). This model works a lot like a Nespresso coffee machine. It gives you the option of choosing from a wide variety of coffee capsules and latte preparation is really easy. The Gourmia Latte Machine and Cappuccino Maker uses coffee grounds to make espresso. 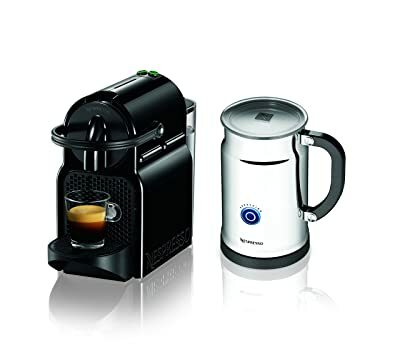 The espresso maker comes in the form of a coffee pot (silver colored pot with 8 sides) while the milk frother looks like a big cup (colored black). 2-in-1 Design – The coffee brewer and milk frother share the same heating base. Capacity – The coffee pot can hold 1.5 cups while the milk frother can hold 1 cup. Control Panel – One touch buttons will allow you to brew coffee and froth (and steam) milk. 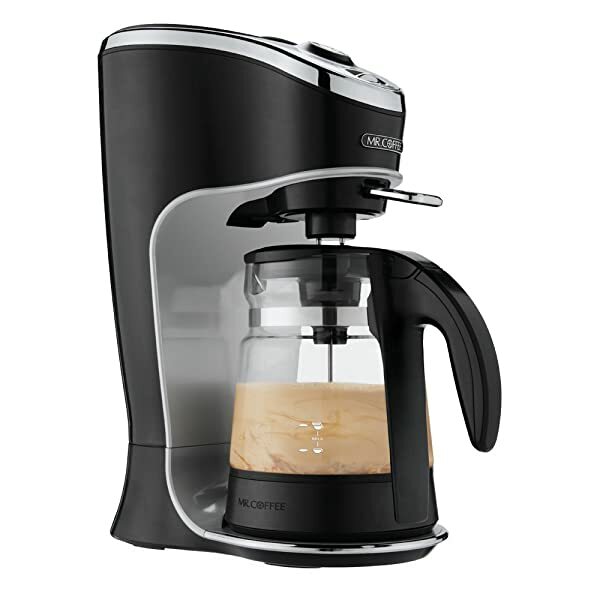 Materials – The coffee pot is made of aluminum materials while the milk frother is made of anodized metal. The design is simple, making the unit easy to operate. Price is cheap for a latte machine. It takes a long time to make latte – 10 minutes for the espresso and additional 4 to 5 minutes for the steamed/ froth milk. Capacity is small – you can only make one serving of latte every 15 minutes. This model of latte machine is versatile as it can make espresso, latte, cappuccino and more. The only reason why it’s the last model in our Top 5 list is that it takes so long to make a cup of latte. If you can wait for 15 minutes for 1 cup of latte, then this model is worth considering. While all the units presented in the Top 5 list are all good, I only recommend 2 of them. As you can see, the Mr. Coffee Latte Machine is at the Top 1 position – that’s because I found it to be the most functional latte maker. It can make your favorite latte drink (and customize the brew as it uses coffee grounds) in just a few minutes. Moreover, it’s easy to use and easy to clean. Just know that you can only make 1 to 2 servings of latte per cycle. Another good option would be the Nespresso Latte Maker (the one on the Top 2 spot). 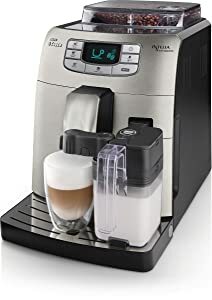 This can make about 4 cups of latte specialty coffee drinks in about a minute and you have a lot of choices in blends and flavors as well (it uses Nespresso capsules and compatible pods). If I were you, I would just pick between those 2 models I just mentioned above as they are the best of the best in the Top 5 list of latte machines. So, what are you waiting for? Pick your choice and start making those delicious specialty coffee drinks right in your own kitchen. Let me know how it went (I love hearing about your experiences). And don’t forget to share this post with friends who are also looking for the best latte machine for them.